One of the most common starter elliptical trainers is the Gazelle Edge Elliptical. This elliptical trainer is ultra popular and truly a low cost home gym machine, which you can fold away for easy storage. If weight loss, muscle toning, and cardiovascular exercise are your top reasons to exercise in the comfort of your home, then this little machine is worth checking out. Other than cost, the Gazelle Edge elliptical is one of the easiest elliptical trainers to assemble. It also comes with a simple to use computer that gives you just what you need to know when you are exercising. 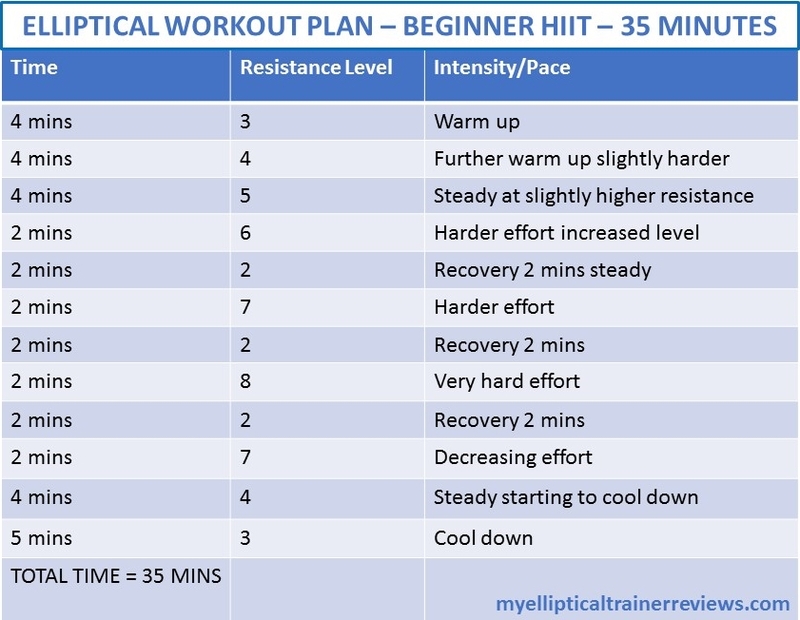 The Gazelle exercise machine reviews written by most users who have bought this elliptical trainer all point out one key thing in common…its kinda fun to use! The ease of assembling the Gazelle Edge gives many users a sense of “real ownership” of the machine making its use something you actually look forward to. My partner recently hopped onto one of these Gazelle Edge elliptical trainers at our local gym equipment retailer and thoroughly enjoyed his 5 minutes of fun on the Gazelle! Amazon currently has a great deal going for Gazelle Edge, well worth checking out if you have a small budget and looking for something to kick off your training regime. I honestly however think this machine shouldn’t be your one and only investment, it should be your starter or addition to your world of training. 2. Handle Design – To ensure your hands are as comfortable as they can be during your exercise regime, high-density foam has been used to coat the handlebars. The only downside though that you get with this comfort feature is that there are no heart rate monitors integrated in the handles. 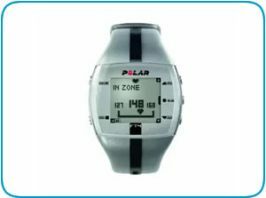 However the simplicity of the design does not compromise your cardiovascular exercise and if you are interested in a heart rate monitor, then you can grab a cheap one here. 3. Dual-action Split Suspension – The Gazelle Edge machine delivers a complete range of motion and freedom movement. This is achieved by the dual-action split suspension system. 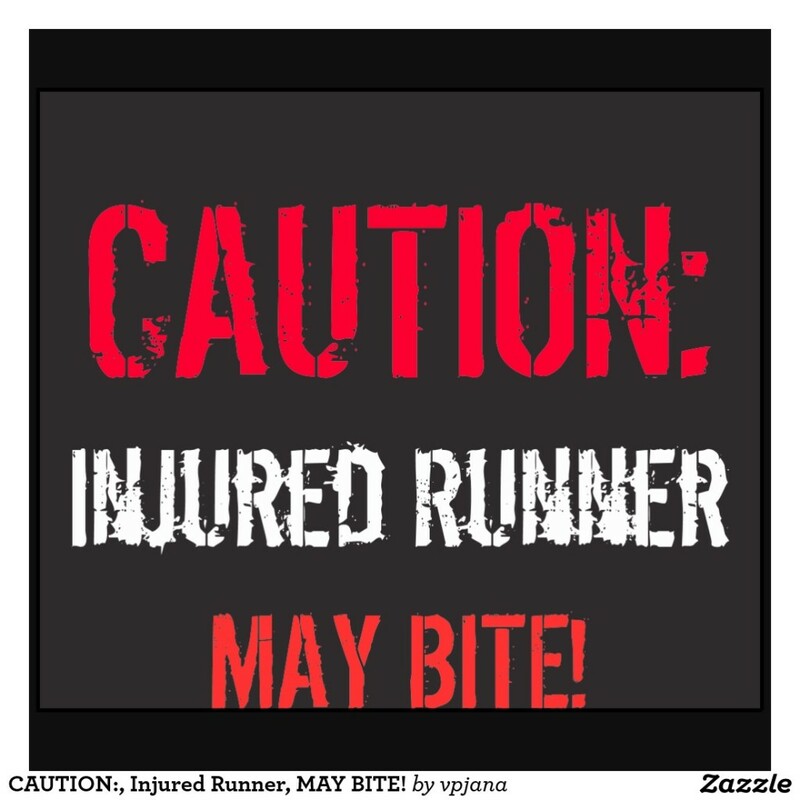 Such motion range and movement means less pressure on your joints when you go from a slow walk to a full run. Such switches are achieved without having any sudden stops. 4. 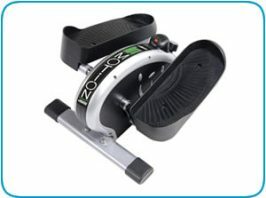 Padded footrests: the elliptical trainer is fitted with padded footrests made of non-skid materials. 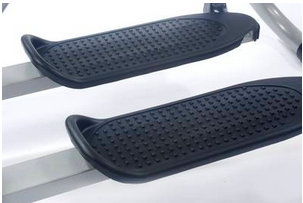 This material adds traction and stability while you exercise. Finding an elliptical trainer in the sub $300 price range, which isn’t noisy while you train is not easy. With the Gazelle Edge elliptical trainer the absence of motors makes the machine one of the least noisy elliptical trainers on the market. There are less moving parts on this elliptical trainer so this means that there are not many areas rubbing against one another. The machine uses 1.5″ diameter steel, which gives it a sturdy construction. Some users have found that car grease applied inside the tubes that the AXLE rod goes through eliminates squeaks completely. It´s recommended that you do this as you assemble your new Gazelle Edge and you won´t have squeak problems. Once this is done, you can place your new Gazelle Edge in your living room and your family won´t even notice you are there! The Tony Little Gazelle Edge elliptical despite looking very simplistic comes packed with 6 exercise options giving you a total body work-out. It also comes with a simple on board computer to help you track approximate calories burned, time, distance and speed while you exercise. 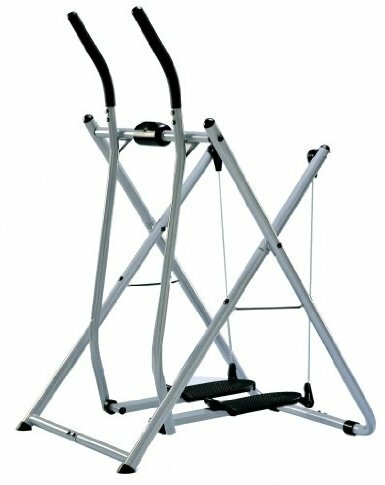 Using the Gazelle Edge, you can do upper and lower body workouts, sculpt and strengthen your muscles while at the same time toning & trimming them. There are six simple steps you need to follow to get your new Gazelle Edge elliptical trainer machine up and running. Such simplicity arises because your Gazelle Egde arrives literally assembled for you. Once you unbox your new elliptical machine, be prepared to spend the next 15-20 mins, yes you heard me right, 20 minutes tops and you will be done with the assembly for your new machine. The great thing about this trainer is that Fitness Quest has put in a few extra nuts and washers just in case you misplace any as you put it together. 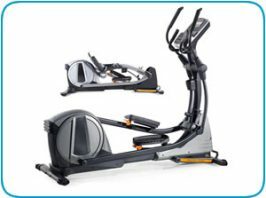 Your new Gazelle Edge Elliptical trainer ships in at 48lbs and once assembled, weights in at 42 lbs. You will find everything in the packaging that comes with the machine. 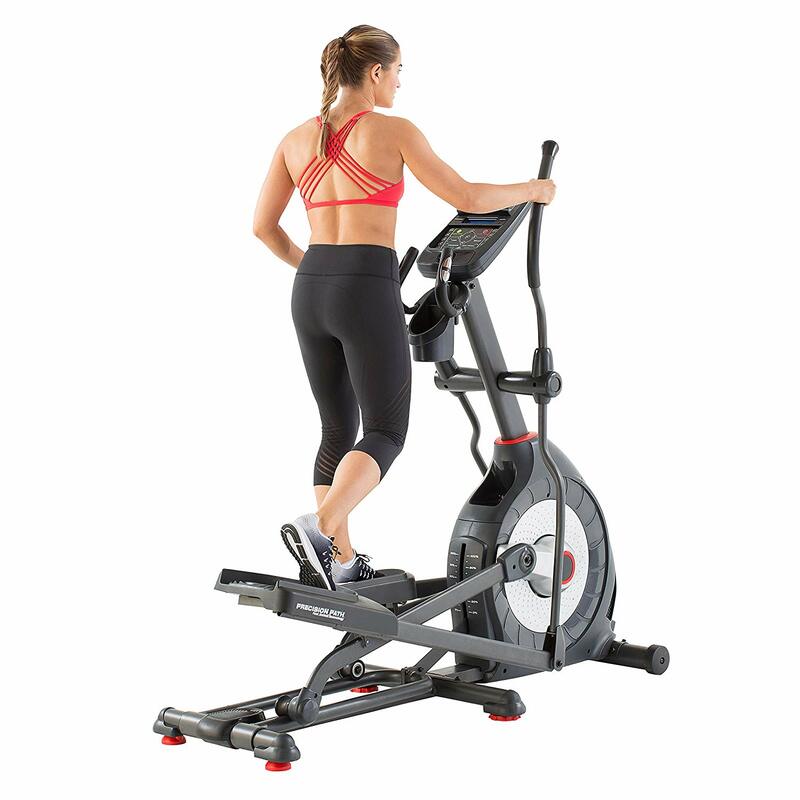 Once assembled your new elliptical will measure 43″ x 28″ x 53.8″ (LxWxH) making it smaller than the Schwinn 430 Elliptical Trainer. The recommended maximum user weight is 250 lbs. 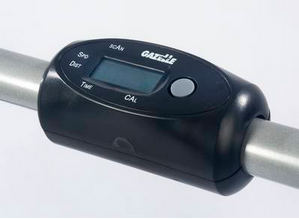 Fitness Quest offers 90 days warranty from date of receipt if the product is purchased from authorized dealers. This 90 day warranty is against defects in materials and workmanship only. It is not transferable so if you buy from another person, you will not be covered.